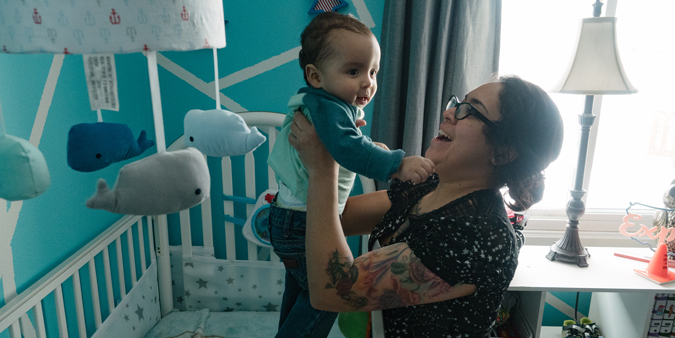 With a baby on the way, Priscilla Delao and her fiancée, Eugene Hylka, were anxious to move out of their cramped studio apartment. They were ready to buy their first house, so they turned to their new credit union, Dupaco, for guidance. Erin Douglass, a mortgage loan officer at Dupaco’s Williams Boulevard branch in Cedar Rapids, started working with the couple last fall. She broke down the homebuying process, reviewed their budget and helped them determine a monthly payment and purchase price they were comfortable with. Douglass also told the couple they qualified for a grant—which ultimately helped make their dream of homeownership a reality. Delao’s pregnancy had left her sick and unable to work much of the time, bringing the couple’s household income to one. A $5,000 Federal Home Loan Bank grant was the boost they needed. “If it wasn’t for the grant, we probably would have had to wait to buy a house in the price range we needed,” Hylka said. 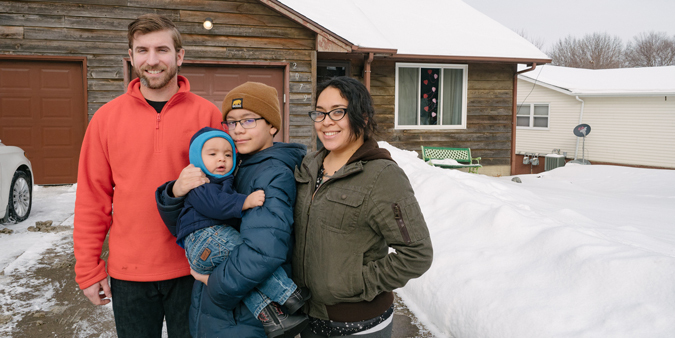 They closed on their first home in May, one week after their son, Eugene, was born. Hylka said he and his fiancée are grateful for the help Dupaco has provided every step of the way. And thanks to his credit union, he’s able to work toward another goal—building an emergency savings for his family. He began using Dupaco’s newest systematic savings tool, ChangeUp Savings, to have “loose change” from his debit card purchase transactions automatically deposited into his savings account.